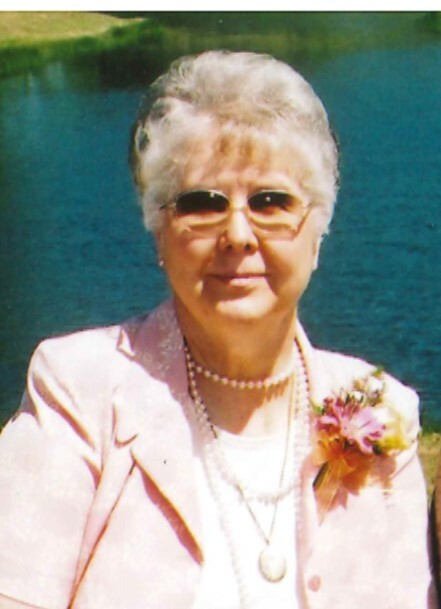 Obituary for Alberta Leierer | Lanman Funeral Home, Inc.
Hope, Arkansas, formerly Ringwood-A graveside service for Alberta will be Saturday, April 7, 2018 at 2:00 p.m. at Good Hope Cemetery with arrangements by Lanman Funeral Home, Inc. of Helena. Viewing will be Friday, April 6, 2018 from 10:00 a.m. until 6:00 p.m. with family present from 4:00 until 6:00 p.m. www.lanmanmemorials.com Facebook: Lanman Funeral Home Inc.
Alberta was born on December 17 1932 in Manchester, Oklahoma to Frank Morawitz and Cleora Walker Morawitz and passed from this life on April 4, 2018 in Hope, Arkansas. Alberta married Everett Marion Fisher, and they raised four children, Mark, Mitchell, Bob and Cindi. On August 30, 1976 Alberta married Jay E. Leierer in Wichita. They came to live and farm near Ringwood. She found that after an encounter with a fence, she would rather cook than farm. Alberta was very active and enjoyed cooking, camping and water skiing. She participated as an activist in the farming arena. Alberta also had a love for shopping: clothes, shoes and other things. After Jay E. passed away Alberta moved to Harper, Kansas in June, 2015 and then to Hope, Arkansas December 2, 2017. Alberta was preceded in death by her husband, Jay E. Leierer; her son, Mitchell E. Fisher; sisters, Roberta, Grace Ann and brother, Neil; grandson, Tim Leierer and great grandson, Cash Caywood. Survivors include her seven children and their spouses; seventeen grandchildren and twenty-six great grandchildren. Memorials may be given to Oklahoma Medical Research Foundation – Diabetes Division through the funeral home.